Searching For The Truth, One Paranormal Experience At A Time. 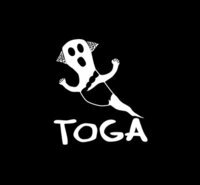 We here at TOGA would like to thank you for visiting our site! We want to let you know that we are here to serve you. If you are experiencing Paranormal Activity or if you know someone who is. We are here! We believe you. We will be glad to come to your home or place of business to help validate the experiences you are having as well as help to explain what is going on.